Line Rider is a new online game that is getting a lot of buzz on the Internet even though you cannot really advance in the game, let alone win it. The object of the game is very simple: you draw a line then hit play and a little dude on a sled rides on the line that you drew. It may sound boring but once you start playing you're probably going to be spending a while on it :). 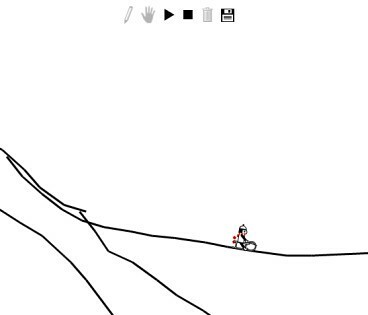 You can also check out some videos that people created out of the slopes that they drew in this game.